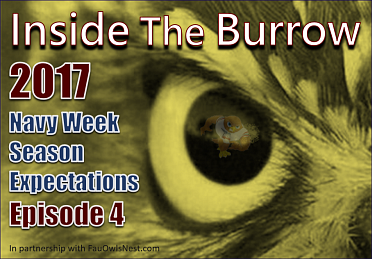 Inside the Burrow 2017 Episode 4 - Navy Week & Season Expectations! This week Dan and Jack discuss Week 1 against Navy! We also go over season expectations and where we see this year's team finishing as well as the latest Fan Poll. Go Owls!